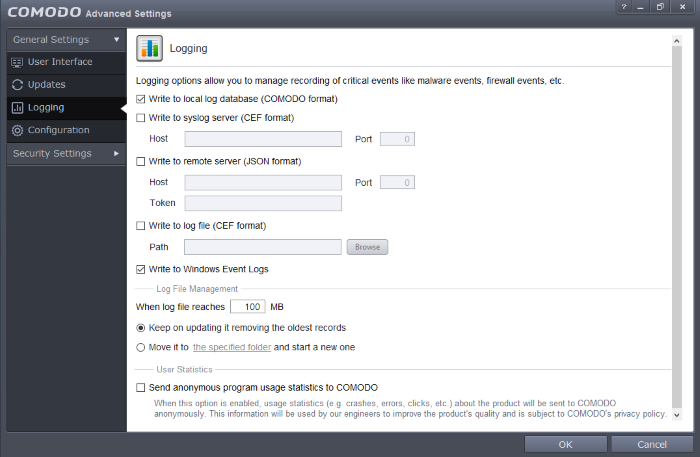 By default, Comodo Client Security maintains detailed logs of all Antivirus, HIPS, Containment, VirusScope and Firewall events. Logs are also created for 'Website Filtering', 'Device Control Events', 'Alerts Displayed', 'Tasks' 'File List Changes, Trusted Vendors List Changes 'and 'Configuration Changes'. The 'Logging' interface allows you to specify the locations for storing log file, maximum size of the log file in local storage and how CCS should react if the maximum file size is exceeded. 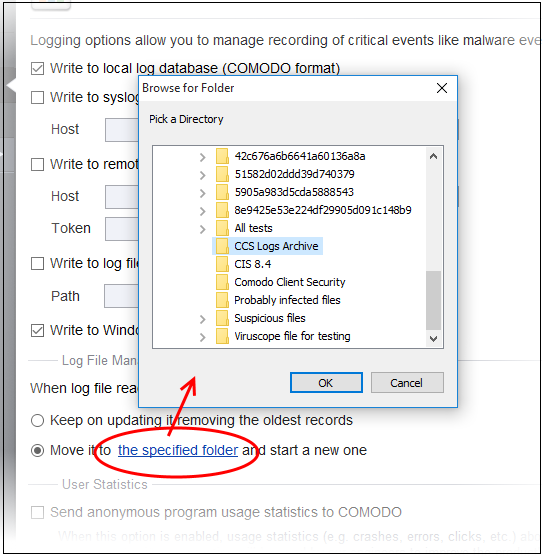 If the log file's size exceeds (Mb) - Enables you to specify behavior when the Local Log Database (Comodo Format) log file reaches a certain size. You can decide on whether to maintain log files of larger sizes or to discard them depending on your future reference needs and the storage capacity of your hard drive.